1. 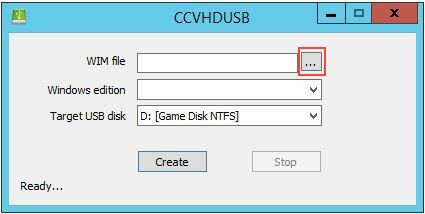 Open “Create VHD USB” tool from “Tools” menu (Figure 1). 2. 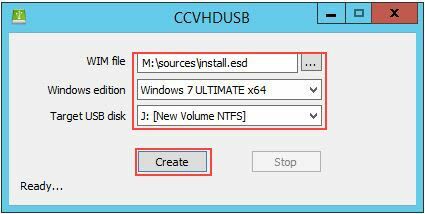 On the “Create VHD USB” windows, click “…” button to choose the image file for Windows “install.wim” or “install.esd” file (Figure 2). 3. Once you have choose the Windows image, click the “Windows edition” drop down menu and choose your desired windows version. 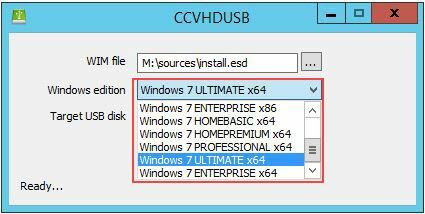 Here, “Windows 7 Ultimate x64” is chosen (Figure 3). 4. 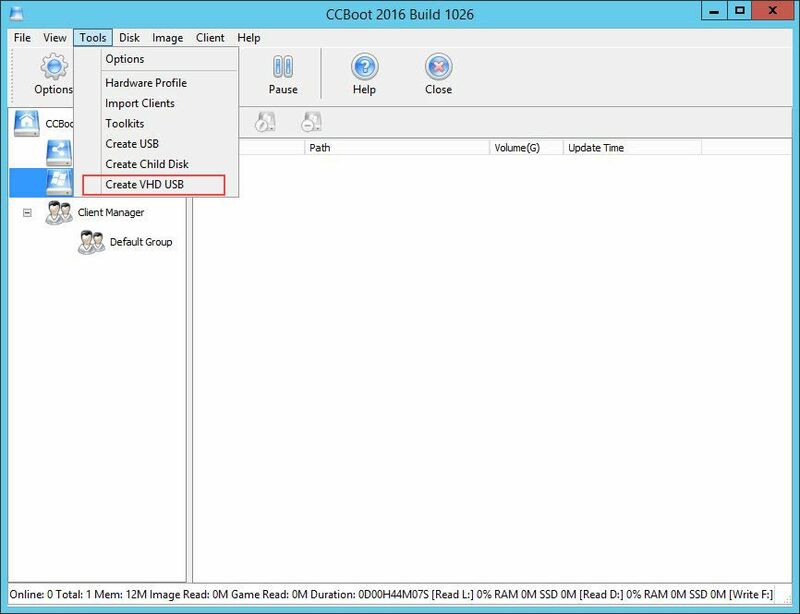 Now, choose the drive – USB Drive that you want to make windows bootable and click “Create” button (Figure 4). 5. Now, the tool will proceed and make the USB drive bootable with windows (Figure 5). Note: We recommend using USB 3.0 USB drives as they are faster than other USB drive (USB 2.0) . 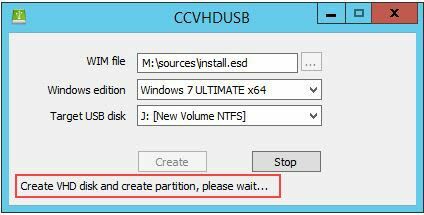 Note: This method can be used to make hard disk or external harddisk (USB 3.0) bootable as well. 6. Once the process is completed, connect the usb drive to one of your client then let it boot, once at desktop install CCBoot Client, and upload image. Note: You can connect the USB drive to all the different hardware specification and install their drivers, and once done, upload the image.